continuing to explore venice from afar with watercolor. and also making the occasional car sketch. regardless of how it turns out, i find car sketching deeply meditative. windows down. leaves falling all around me. a breeze stirs the branches of the tree i’ve parked next to. an acorn falls on the roof. an old man shuffles by. now that i have my heart set on retirement in a santa barbara trailer park, it’s difficult to live in the here and now. while researching i found out that santa barbara has rent control for mobile home parks which means lot rent can’t increase more than 3% per year. if i was ready to roll RIGHT NOW i would consider making an offer on this place. i’m still trying to figure out how property taxes work on mobile homes. i’ve decided a mobile home park is a perfect location for a womens’ art commune. old women with sketchbooks and walkie talkies. or something. i’m still formulating the plan in my mind. it’s what i do when i’m walking around the huntington on saturdays. in the classroom, the kids are getting used to doing regular watercoloring in their sketchbooks. this week we’re perfecting our leaf drawing skillz. one of you recommended this and i’m rather grateful. i’m reading it. the old-fashioned way – on my kindle. so atmospheric! if you’re off on an adventure i’ll need to know about it. if you just retired and are having the time of your life i’ll need to know about that too. Retired last January. Love it! Paint most every day. Hike, go on fun little trips with the hubs, found other arty friends. LOVE LIFE!!!!! Mary Ann. Glad to hear about rent control in SB. Loved Gentleman in Moscow … one of the best books I’ve read recently. I retired from full time teaching about 5 years ago. Now I teach 4-5 classes a year, mostly online. Love the structure it provides to my day/week. Also love not having to attend meetings :-). The best part of semi-retirement for me is being able to read/nap in the afternoon … it is such a decadent treat! Hi Mary Ann! Just finishing 8 days in Rome and Florence , and onto Venice Saturday. I’ll fluff the pillows for ya. All my stuff is on IG now if you want to take a peek. I finished ‘A Gentleman in Moscow’ and found it to be one of the very best books I have read in a very long time. I am so pleased you are enjoying it. Thank you for the John Singer Sargent Watercolors book suggestion. I have thought of you often as I am doing a 5 week cruise ship tour from Amsterdam to Bucharest. My traveling companion and I were so pleased by Bavaria and Franconia and Germany in general! We are leaving Vienna tomorrow for Budapest. Unlike you, I find I am reluctant to draw in public so not much of that has happened at all. I am dismayed by this discovery and find your exuberance in this regard an inspiration. Oh Nancy Jane…oh oh oh…i am imagining a water journey like the one you are on…sounds so divine. thanks for sharing this with me. you know how to LIVE! You’ll still travel when you’re a little old lady, won’t you? Or are you planning to use your wonderful journals to bring it all back? That would be lovely too. What will eventually happen to our blogs years from now? I miss mine terribly, the one I closed down when we left France, but at least I still have the photos on hard drive. Now I’m retired, I’m concentrating on my writing and poetry. Hugh still makes his lovely ceramics and we have our beloved little Budleigh. Retirement is great – you’ll be so good at it, Mary Ann! Forgot to mention one thing about Venice my grandmother went there on her honeymoon on a motorcycle which had a sidecar, years ago when I was doing miniatures I made her driving a motorcycle without the sidecar could not find one with it but I gave her a basket carrying a dog and her hair flying in the wind… Still have it in memory of her wild spirit which my brother and I inherited. I also visited Venice minus the motorcycle. i can perfectly imagine a bride in a sidecar entering the magic republic of venice. what a lovely image! Lovely spacious home Mary Ann. If you are considering retiring in this house consider all these steps to get into it and the bathtub. As I am a much older lady than you !!! I know first hand the difficulties that can arise with age, The difficulty Of going up and down stairs like the ones to enter this house your arms full of packages and the tub. The last one could be remedied by being replaced with a walk in shower, otherwise it seems perfect . Have fun discovering your new home. Having moved 16 times in my life all over the world the mistakes I made were numerous!!!! Sketchbooks, walkie talkies and Santa Barbara! I’m in…Save me a spot! you know it! and your cute hubs can come too! Hi Mary Ann! Jessica W. From Redding, Ca manufactured Home Park on the golf course. I have found out from my manager (secretly) that even with our 4% rent control increase, after 3 years you can apply for a freeze for 0 increases if you are retired. (We are a retired park.) I think it’s a California thing but not sure. Let me know if you need help starting up the art commune park! LOVE that idea! WOW! good to know jessica, thanks so much for telling me. i’ll do a bit of research. the park i’m interested in has a small 8 hole golf course. the green space makes things so lovely. I’m buying a house. I guess that’s my adventure for the last part of the year. Hoping to be installed by the end of 2018. Scared–it’s a big commitment, and I’m giving up travel temporarily. Hope it will be worth it. Also have just noticed most of my furniture is *crap*. buying a house?! that’s thrilling sandra. once you’re all settled into place you can begin enjoying it. sounds like you are living a mighty good life. being your own boss sounds ideal. i look forward to that very thing – doing my own work that pleases me and brings in a small income to boot. makes me feel even better about my choice of book! I think this art village for women is really picking up steam! I can’t imagine anyone not wanting in; it’s perfect really. Well, I’m off having an adventure right now – in Umbria! I’m typing this wide awake with jet lag at 4 a.m. Staying at a b&b in Orvieto for a weeklong watercolor class; we meet up tomorrow night to start so I have the day to wander and sketch before class even begins! My last 36 or so hours: arrived at the Rome DaVinci airport and promptly got stuck in an airport bathroom, fought with a train station vending machine to give me my KitKat bar (solo travel means one can speak rather impolitely to a vending machine!) , got the train from the airport to Rome, and the train from Rome to Orvieto, then a funicular! It’s autumn colors and Italian medieval cobblestones here, and church bells. Cloppety clop (suitcase on the cobblestone) found my b & b (albergo) a shower and 3 hour nap ensue. I wandered around in the evening, doing the passagiata. Admiring all the little dogs perambulating with their humans, and the cats busy doing their solitary cat things. Stopped at a grocery to buy fruit, cheese, prosciutto, salty snacks, and little gellied candies that look intriguing! So many bottles of wine for sale, and not one single corkscrew ‘a vente’ This may be my next great business opportunity, selling corkscrews to visitors in Orvieto. Dinner of gnocchi and white wine; anywhere that a carafe of wine is cheaper than a Coca Cola has my heart! Tomorrow (today) the sketches begin! Ciao ciao! 😊Love the leaves! Funny post. Does anyone ever ask what you are doing, in your car, when you sketch? I recommend The Masterpiece by Fiona Davis. It’s about an art school that was on one of the upper floors of Grand Central Terminal and a female artist trying to make her way in the world back at the turn of the century. ooooo thanks for the recommendation!!! Love your idea of a Santa Barbara trailer park. Low maintenance, lower than stick built real estate taxes, often harder to find a home owner’s policy (try Foremost Insurance, that’s what I use for my trailer/cabin in the woods) and enough yard and neighbors so you won’t feel either too close or too isolated. 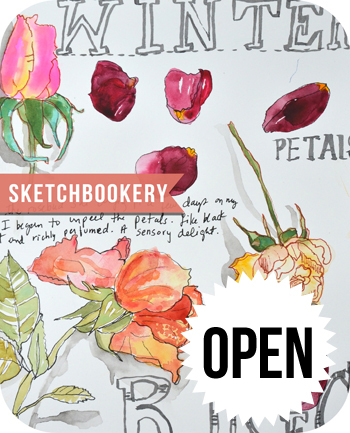 It would make a good home base for you and your car sketching! I’ve only been to Santa Barbara once but I loved it. I can imagine it would be a lovely place to retire. I expect there is good, local medical? Certainly beautiful and inspiring! I’m off to the Oregon coast tomorrow morning with three of my art buddies for our annual “birthday” trip. We go off together, rent a house and do art for three or four days instead of celebrating birthdays during the year. We love it and love being together. Such fun! And we get a Costco pumpkin pie in lieu of a birthday cake! O, won’t we have fun??? I am loving your sketches. You inspired me to participate in Inktober. I’m right at the point of retiring and we’ve been looking at real estate. I have nothing against manufactured ( mobile) homes , but I want to have my shelter fully paid for, no lot rent or home owner’s dues (condos) . property taxes will be enough, thank you. We are currently looking at Astoria, OR. I love the idea of an art colony, though. i loved astoria when i visited a decade ago! Hi Mary Anne, I retired early at 62..I thought Hhmm…could stay in a job that I dislike with people I had nothing in common with..or I could jump..into the slightly scarey world of the low income unemployed.I have always been community minded so the hours of leisure have not eventuated.I am loving the community garden,my own garden and working with Boomerang bags..saving the Planet..one bag at a time.I am emerging from a bit of a slump and a good friend told me it took her a year to find her feet.My husband has retired too..but busy as church warden and with brass band(I dont belong to either) When people discover you have retired..they are very keen to fill your hours with little jobs.I only take on things that I am really keen on..I have also got good at saying no.😀 and last week launched into the office/studio/spare room.It had become a storage facility. I found stuff I havent seen for years! Re reading Mary Wesley and listening to Harry Potter read by Stephen Fry while I sew.life is good. brass band might be fun! Omg. For years I have dreamed of a small community of retiree artists, lovingly termed “Artgirl Island” in my mind. We would each have our individual small homes (tiny house, mobile home, whatevs) and there would be one or two larger communal buildings with storage for art supplies and space to spread out and make art together (when we choose to). There may or may not be a communal kitchen and some guest rooms. Artgirl Island would provide a lovely combination of alone time and community time. I picture Garden art, hammock / deck chairs, lots of laughter. i love your vision! bonfires and camping on the beach once a month. let’s do it! I love your plan to buy a mobile in SB. Sounds like it will be perfect for you, all things considered. You’re lucky there’s rent control there in mobile parks…there isn’t at the one where I live, and rent goes up 6 or 7 percent every year. In the not-too-distant future I’ll move into a bonafide low income senior cottage village, also in Fortuna. The rent will be substantially less and won’t go up every year. Just waiting for a unit to open up at my low income level (there are only 6 of said units in the park, so I’m basically waiting til someone dies or goes into assisted living elsewhere. Altho there’s a lot I’ll miss about my current Rose Cottage, there’s also a lot I won’t miss, including the ever-increasing rent that pretty much has me maxed out now. Anywho, the move will happen at the right time, when it does. 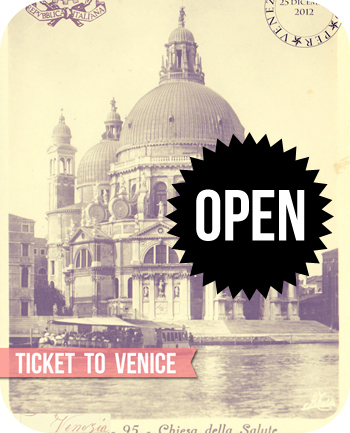 You’re going to Venice again, right? Or just painting it? The house is fabulous! Are you allowed to have cats? Oh, put me on the art commune list too! yes to cats under 30 pounds! you are number 2 on the list! Put me on the waiting list for your women’s art commune! you are number 3 on the list! officially.